Fathers Joy is a non-profit Christian organization whose message is based on the Bible and whose ministry is based on the love of God. Our mission is to minister and provide support and information to families of children with disabilities. Children's Book Published Get Yours Today! Every child is special and plays an important role in the lives of their class peers. 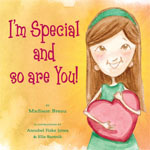 Drawing from her own experience in supporting friends with disabilities, eighth grade author, Madison Breau, reminds us of how important love and support from class friends can be in a child's life. Click the book to purchase online. One hundred percent of the proceeds from the sale of this book is donated to Father's Joy. Order the “Living With Down Syndrome: Turning Fear Into Hope” DVD today! Learn from people with Down syndrome and their families how to turn the fear of living with a disability into the hope of living full, productive and valuable lives. 2014 Including You/T21 Conference: SOLD OUT for Wrightslaw! On Saturday, February 1, Father’s Joy, The Rise School and Greater Clear Lake Families Exploring Down Syndrome hosted the 5th annual Including You/T21 Conference and it was a sold out event! 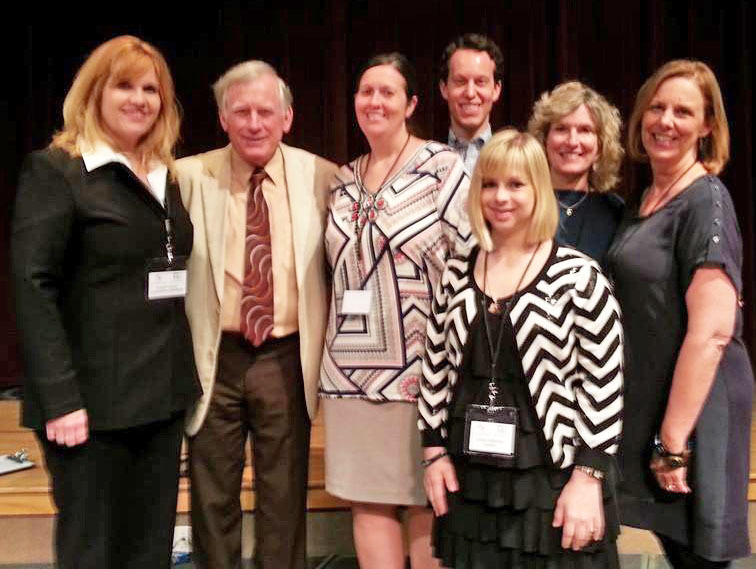 Instead of offering classes in the multi-strand model, the conference presented a full-day Special Education Law & Advocacy Training taught by Pete Wright of Wrightslaw. In addition, the conference presented a Sibling Workshop, facilitated by Dr. Brian Skotko and Sue Levine, for children who have siblings with Down syndrome. The conference is traditionally kicked off by an inspiring morning keynote and this year was no different. This year, keynote speaker Ashley DeRamus is a sister, friend, entrepreneur, advocate, singer, public speaker, swimmer, music video star, fashion designer and one amazing young woman who just happens to have Down syndrome! Ashley offered the audience a glimpse into her life and her amazing accomplishments, giving families, educators and advocates an example of what people with disabilities can do if given the opportunity. Special thanks to our speakers, Ashley DeRamus, Sue Levine, Dr. Brian Skotko, and Pete Wright, and to all our volunteers who helped with registration, manning vendor tables, A/V, lunch set-up, childcare and the sibling workshop. Thanks to the staff and volunteers at St. John the Divine and to our incredible Partners this year, Down Syndrome Association of Houston (Keynote Partner), Reach (Program Partner), Hope Orthotics & Prosthetics (Program Partner) and all our Workshop Partners. Finally, thanks to all who participated in the conference this year and helped make it a huge success! © 2006-2014 Father's Joy, Missourri City, Texas. All right reserved. Photos used with permission. Father's Joy is a 501 (c)(3) organization.